Rooney Mara on "Dragon Tattoo" Transformation: "I Was Ready for It"
It took Rooney Mara two and a half months and five screen tests to land the sought-after role of Lisbeth Salander. The competition for the fierce heroine of "The Girl With the Dragon Tattoo" included some of the biggest names in Hollywood. The director, David Fincher, is well known for his extreme attention for detail — which Mara had witnessed firsthand in her small but memorable performance in his "The Social Network." He shot her largest scene, the opening verbal volley between Mark Zuckerberg (Jesse Eisenberg) and his girlfriend (Mara), in 99 takes. To become Lisbeth, Mara had to prove she shared her mettle. "It was like I couldn't imagine what I would be doing if I wasn't doing that," says Mara. "I couldn't see forward in my life without doing it." It was her tenacity, ultimately, that won over Fincher, who, in an unusually drawn-out audition process, also considered Scarlett Johansson, Natalie Portman, and Carey Mulligan, among others. "The thing that put it over the top for me, to go, 'Guys, this is my final choice,' is: She just wasn't going to be denied," says Fincher. "And that indomitability was so important to Lisbeth. That is the most important thing. Forget 98 pounds, forget black hair, forget the tattoos, forget the piercings. I needed somebody who wasn't going to stop. She just kept going." For her effort, Mara was rewarded with a clearly life-changing experience making the film with Fincher in Sweden, generally rave reviews for her version of the iconic character first played by Noomi Rapace in the original Swedish films, an entry to movie stardom and, most recently, a Golden Globe nomination. 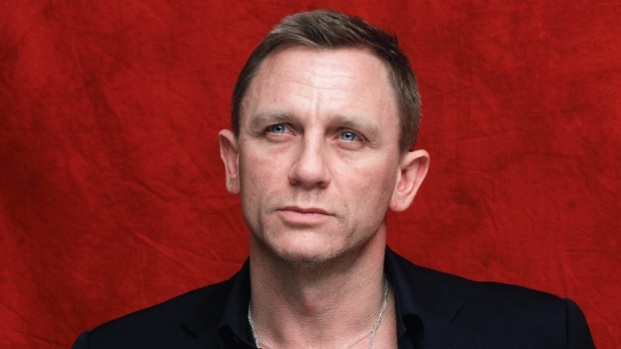 Daniel Craig: "The Girl With The Dragon Tattoo" Is "Brilliant"
Daniel Craig explains that co-star Rooney Mara is "more than capable" to take on the role of "The Girl with the Dragon Tattoo" and thinks it's too bad people are focusing so much on her physical transformation. So, what appealed to him most about his character? In a recent interview at a New York hotel with paparazzi lurking outside, Mara, 26, didn't give off the impression of an actress having her Big Moment. Instead, she exuded an almost monotone calm, already nostalgic for her journey on "Dragon Tattoo" and eager to finish the global, red-carpet marketing of the film. "I spent over a year at 100 miles-per-hour, just working on pure adrenaline for a lot of it," she says. "And it's hard to come down off of that. For someone like me, who really thrives off of having something to focus on, it's hard to lose that." Mara, certainly, wouldn't seem a natural for Lisbeth, the hard, androgynous computer hacker who teams up with journalist Mikael Blomkvist (Daniel Craig) in Stieg Larsson's best-selling books. She was raised in the wealthy Westchester County hamlet of Bedford, N.Y., the daughter of Timothy Christopher Mara, an executive for the New York Giants. Her name (Patricia Rooney Mara, in full) comes from her two great grandfathers: Pittsburgh Steelers founder Art Rooney, Sr. and Giants founder Tim Mara — historic NFL families, both. "People always want to know about that and ask about that, but it's not something I thought about very much growing up," says Mara. "I had a normal childhood. I wasn't like some spoiled little football brat." Her older sister, Kate Mara, pursued acting with her sights set on Broadway musicals, eventually moving into film and TV. Rooney, though, was slower to embrace acting. Though she had performed in school plays and in student films at New York University, it wasn't until she was around 20 that she began auditioning. She played small parts in films like 2009's "Youth in Revolt" and starred in the 2010 remake of "A Nightmare on Elm Street." "The Social Network" was a turning point, even though she only spent four days on the set. "It just felt different than anything else I had done," she says. "After that, I got really picky. I didn't work for a year. I didn't work until I got this part because I was just trying to find something that I was really passionate about." The differences between Mara's character in "The Social Network," the straightforward, levelheaded Erica Albright, and Lisbeth are stark. Mara considers Albright "much more foreign" to her than the incommunicative, punk Lisbeth. Fincher describes Lisbeth as "a damaged wraith, a little crow." He recalls instructing Mara: "I cast you in another movie to be warm and feminine and verbal and mature, and I don't need any of that. I want the antithesis of that. So we need to start from scratch." The casting process was very public. Though Mara read much of the online commentary, she spent the two-month audition process as "a shut-in," smoking, reading about and researching the part, and trying to lose weight. Craig was not surprised with the outcome. "Rooney is incredibly bright, intelligent, a together woman," Craig says. "Her priorities are very straight. ... The fact that it's worked out — and worked out brilliantly and that she's just amazing in the movie and everybody's going to be blown away by her — we kind of knew. We kind of knew while we were doing it: 'It's fine. She's great. What's the problem?'" Whether the franchise will be continued with two more films remains to be seen. It opened over Christmas with a modest $13 million in domestic box office. Mara is to co-star in Terence Malick's planned "Lawless," but she remains plainly enamored of Fincher: "I just trusted him completely," she says. "I would have done anything for him, probably to a fault." For Mara, "The Girl With the Dragon Tattoo" was an education. "I felt like I was going to school," says Mara. "I had motorcycle for two hours, then I went to dialect for two hours. It was like going to different classes every day."